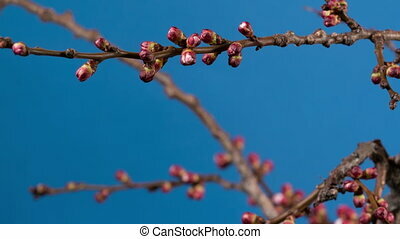 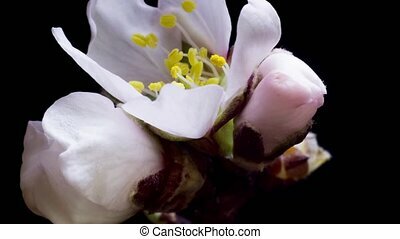 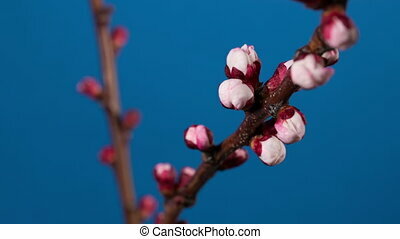 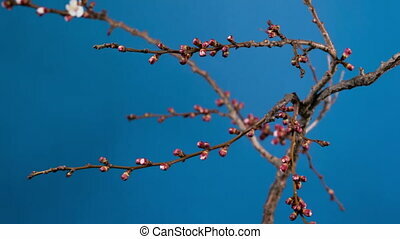 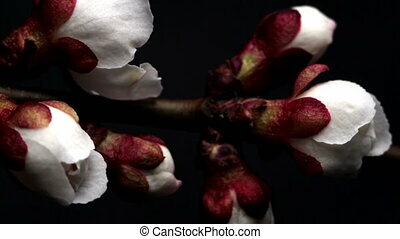 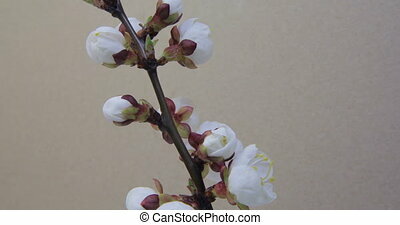 Time-lapse of blooming apricot tree branch. 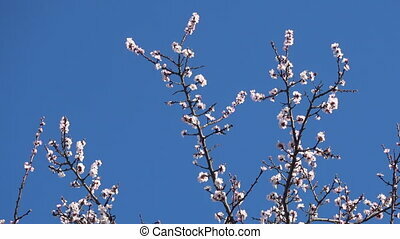 blooming branch of apricot tree time lapse. 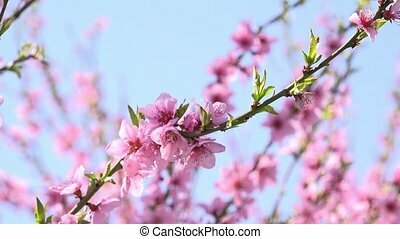 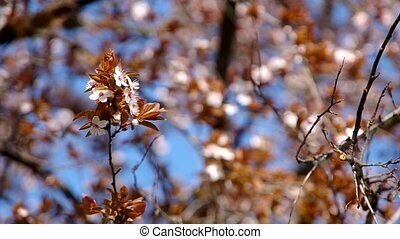 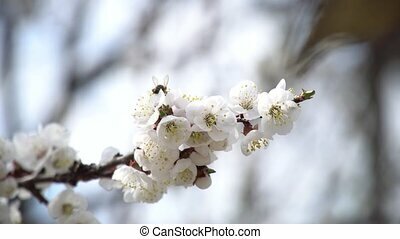 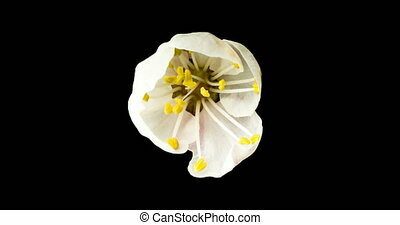 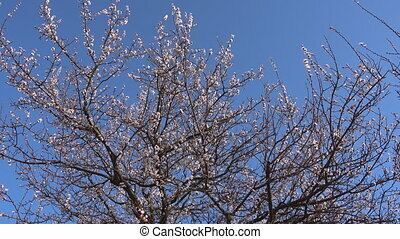 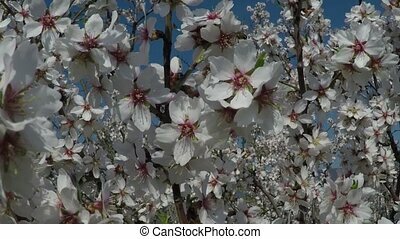 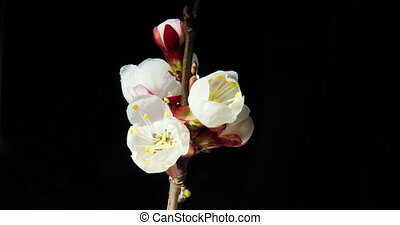 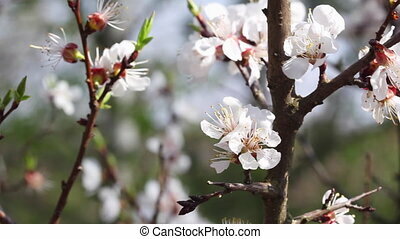 Springtime, beautiful blooming apricot tree, qualitative video. 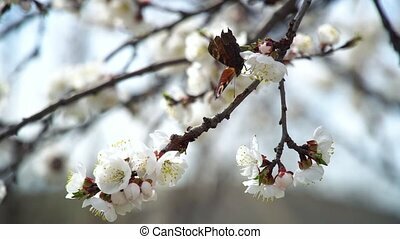 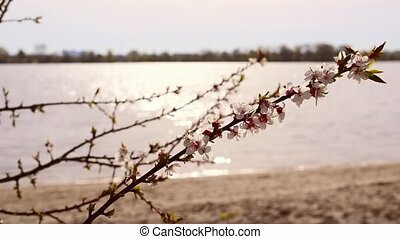 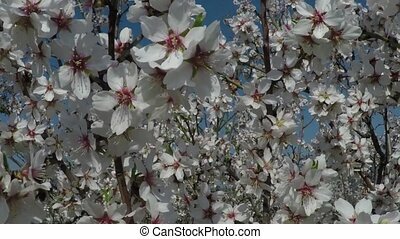 Panorama, springtime, beautiful blooming apricot tree. 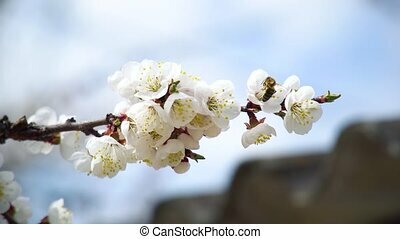 Spring garden, blooming apricot tree and bees, FHD qualitative video. 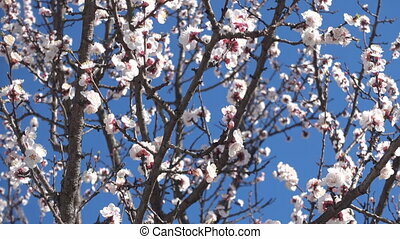 Blooming plum tree in the wind. 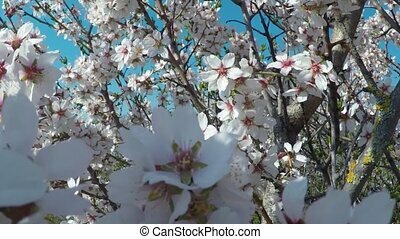 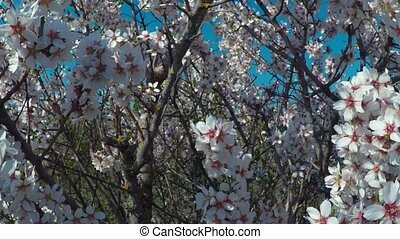 Almond tree in bloom against the background of mountains. 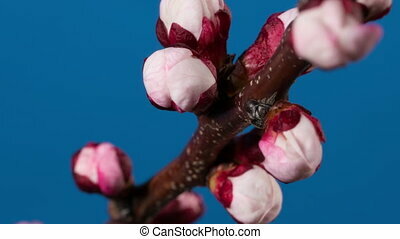 Shooting video with a crane operator. 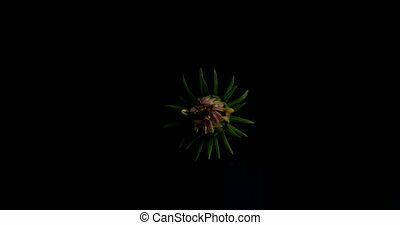 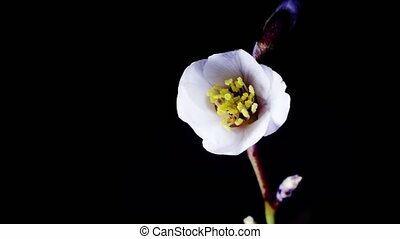 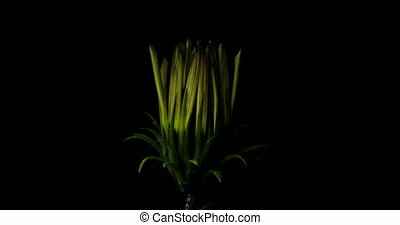 yellow flower blossom on dark background.